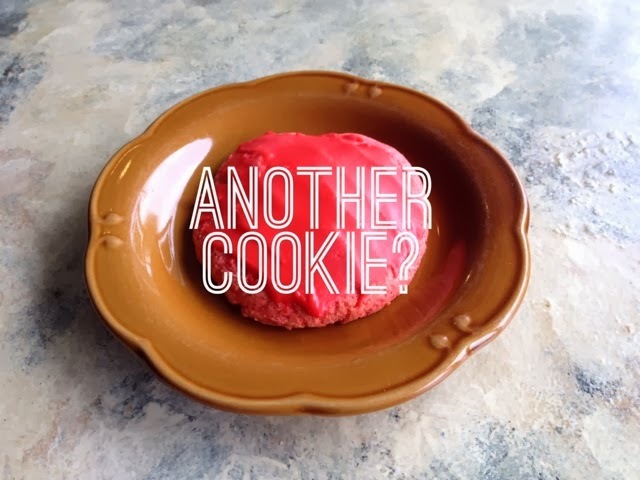 January ended and we ran out of cookie dough for our lemon cookie which was January's cookie of the month. And just as that happened, one of the newer additions to our staff, a great guy named Anthony, offered a suggestion. "I was somewhere recently and had the best cookie. It was a strawberry cheesecake cookie." Yum. We took our sugar cookie recipe. We substituted cream cheese for butter and added some cherry Jell-O, and Ta-Da! We have a cherry cheesecake cookie! Our wonderful baker Mia has created a little pink/red glaze for these and she's been cranking out pink delicious treats all week. Come by anytime during February for one of these Valentine-y cookies! And next month, for March, watch for the return of those wonderful green Pistachio cookies! We still remember that day in March 2008 when Matt Hales showed up at the deli with a tiny puppy in a little puppy bed. He explained that he was trying to find a home for this mixed breed baby. He had adopted her sister, and he was trying to place her sibling(s). The last collar and tags that Mookie was wearing on that day last May when we sat on the floor with her and she fell into that deep sleep. 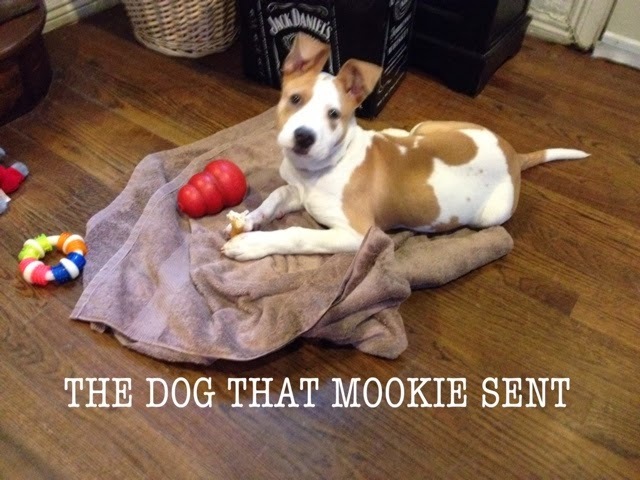 And once Mookie was gone it seemed like Facebook exploded with pictures of sweet dogs that were in need of a home. But since we had just loved and lost our dog, we were not eager to jump into a new relationship with a furiend who we knew would eventually break our hearts again.